Summer Inspiration: S'Mores on a Stick! 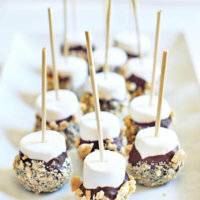 Home » Courses » Pies, Tarts and Other Desserts » Summer Inspiration: S’Mores on a Stick! Summer Inspiration: S’Mores on a Stick! 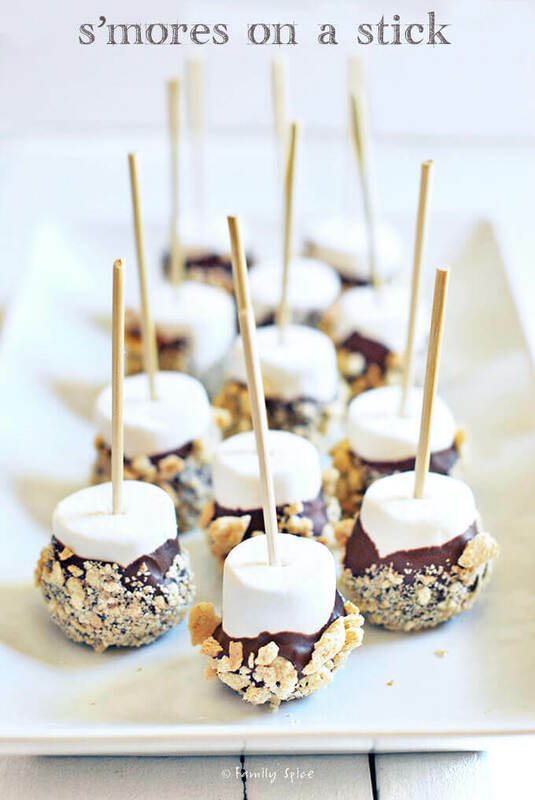 Whether for a birthday party or a pool party, s’mores on a stick is easy to prepare and a real crowd pleaser! Today is the last day of school for my kids. Well, considering it only lasts for about 3 hours, I wouldn’t call the last DAY… It will be filled with parties, laughter and excitement for the fun times ahead. I’m looking forward to a laid back schedule, pool days and sand between my toes. But, it’s a little sad for me, too. My oldest child, the Professor, just graduated from 5th grade. Don’t poo-poo this milestone. He’s going to start Middle School in the fall, and for this mommy, I want to hold on to my baby boy a little longer. Part of the summer plan is to have lots of fun. This means going to the beach, splashing around at the pool, camping trips, road trips, sleepovers galore with the cousins, and plenty of s’mores to enjoy! When we go on camping trips, I like to go beyond the classic s’mores. But if I don’t bring along marshmallows, chocolate and graham crackers with me, there will be a mutiny at the campground. There is something meditative about roasting a fluffy marshmallow at the end of the stick over a roaring fire. We make s’mores at home, too, in the fire pit we have in our backyard. 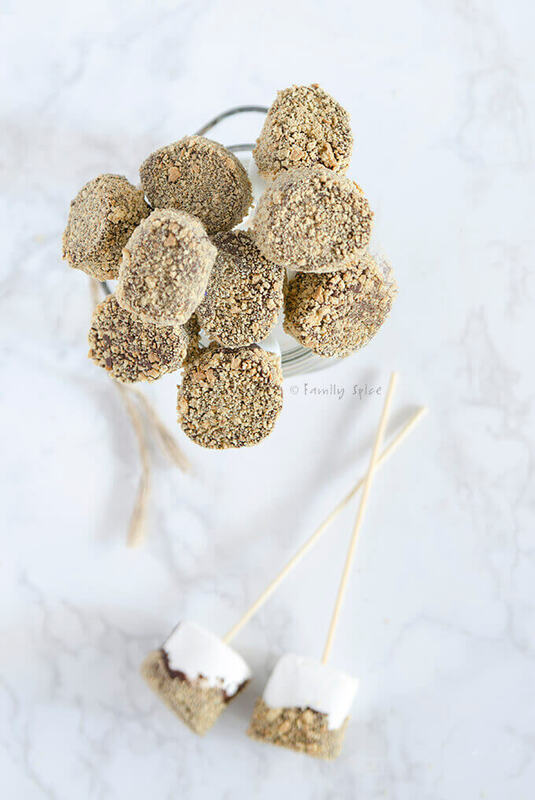 But if you have toddlers around, or have a big party and you don’t want a mess to clean up, these easy s’mores on a stick is a great solution! It is so easy to make these s’mores on a stick. I feel super silly going into detail on how to make them – they are THAY easy. You need chocolate to melt, which can be chocolate bars or chocolate chips. 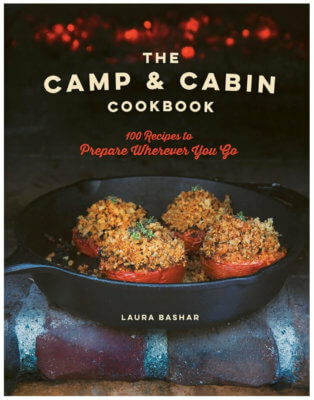 You will also need crushed graham cracker crumbs, marshmallows and bamboo skewers. You can melt your chocolate in a double boiler or in the microwave. Whichever method you use, make sure you do not burn the chocolate. I like to melt chocolate chips in the microwave in this silicone bowl that I found. I heat the chocolate chips on high for 20-seconds, stir, and repeat until the chocolate is melted. 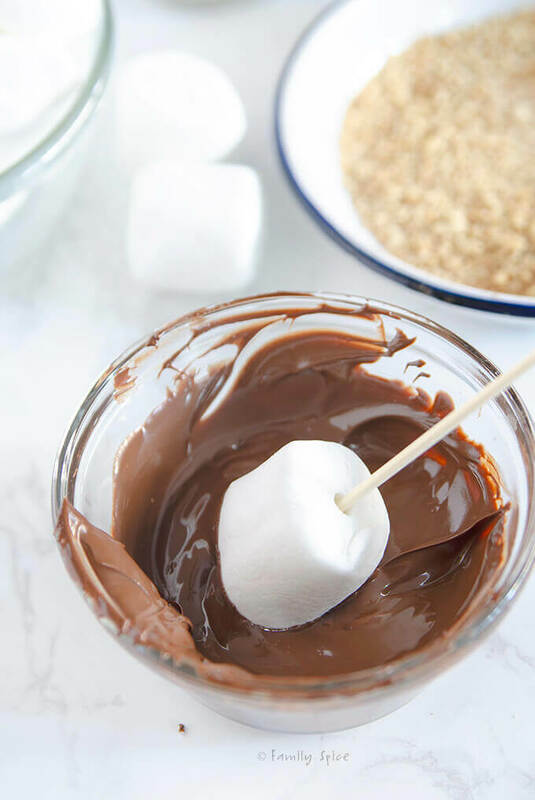 Pierce your marshmallow with a bamboo skewer, dip the marshmallow in chocolate, then dip the chocolate covered marshmallows in a plate filled with graham cracker crumbs. 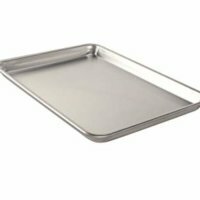 Line a baking sheet with parchment paper or a silicone mat, and place your s’more on a stick there until the chocolate hardens. Refrigerate your s’mores on a stick until ready to serve. 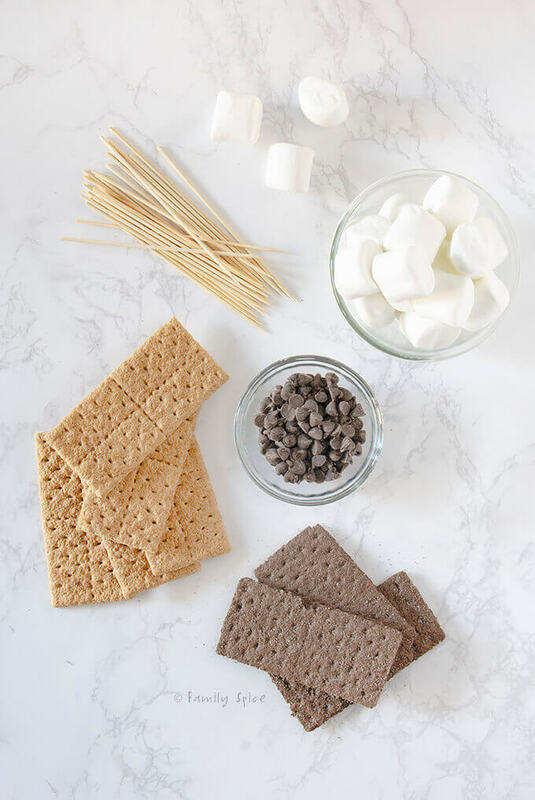 You can make the classic flavors of s’mores or you can customize them and make them more fun. 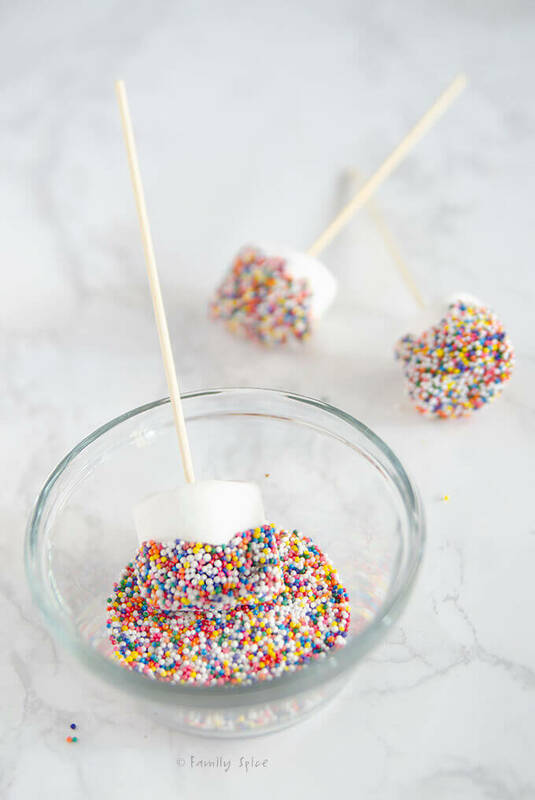 In addition of graham crackers, add sprinkles or crushed nuts to your chocolate covered marshmallow. You can also use candy melts of different colors instead of chocolate. Plus, add some other chocolate drizzles to your final s’mores on a stick for a zebra effect. 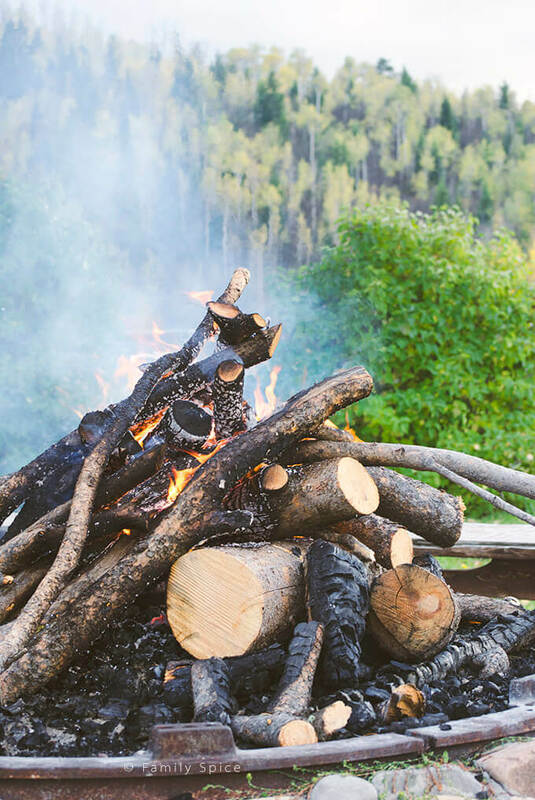 If you are having a party, this would make a fun DIY s’mores buffet. Put out a little fondue set that will keep the chocolate melted and let your guests make their own s’mores on the stick, just the way they like it. Of course, the Professor has always made it quite clear that he’s going to grow up fast, despite my objections. He spoke eloquently in both Farsi and English by the age of 18-months. He’d argue with the director of his preschool, trying to “lawyer” his way home to me. It was only 3 hours a day, 3 days a week! The Professor started to devour books in kindergarten, reading far beyond his grade level when he entered first grade. He knew all the names of the dinosaurs after his auntie gave him a book when he was four, and he still dreams of being a paleontologist. Yes, this not-so-little guy has really opened my eyes to the world around me. For his graduation ceremony, four students were chosen to speak on the theme of “Being a Champion.” My young professor was one of them. He wrote this speech himself, with no help from me, except for grammar checking. His daddy and I were blown away by what he wrote. So was the rest of the family. His two sets of grandparents, auntie, uncle and cousin sat proudly with teary-eyes and cheered him on as they listened to him talk. All of the speeches given were amazing. But, I thought I’d share my Professor’s speech in case even you need a little inspiration during those inspiration-less days. Plus, some S’mores on a Stick, to celebrate summer vacation! I believe that everyone has a champion inside of them, but that the “champion” is locked inside a box. Everyone needs a certain key of inspiration that’s just right for them. Ladies and gentlemen, these 5th graders, soon to be 6th graders, will soon make decisions that may change their lives. Some may be leaders, and some will be led. I’m sure that whatever they do, they will all be a champion! To me, a champion is someone who rises above all others. A champion shows all traits of good character. Most of all, a champion does not try. He does. If we aren’t tomorrow’s champions, who is? Not the teachers. They are today’s champions! We are the only option. Who will be the leaders? We will! We need to go to lengths none will go to. We need to be the best of the best. We need to be those people who will stop at nothing to achieve. What about the key to championship? Well, inspiration can come from about anywhere! For example, I found an inspirational quote from a cartoon! The main character, Phineas Flynn, said, “The only thing that is impossible is impossibility!” He said that with so much enthusiasm, that I really believe him. Thomas Edison, creator of the light bulb, said, “I didn’t fail 10,000 times, I just found 10,000 ways NOT to make a light bulb!” Thomas Edison did not admit to defeat. This goes to show that leaders can leave something for the future that could really help. “Fall seven times, stand up eight,” from a Japanese proverb says that even among our “tries,” our “do’s” will always prevail. Remember that to reach the top, we have to aim for the top, to go for the gold. Everyone has potential, they just need to find the key. Nothing is impossible if you put your mind to it! Sometimes you just want a small bite of that All-American s'more! This is a great treat when you want to please a crowd! 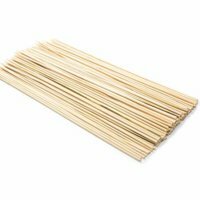 Insert a skewer or toothpick from the top of each marshmallow then place on a large baking sheet. 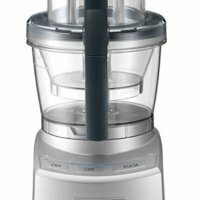 In a food processor with metal blade, pulse graham crackers until crumbs are formed. You can also place graham crackers in a ziploc bag and smash with a rolling pin. You should have approximately 2 cups of crumbs. Transfer to a plate. In a double boiler, melt chocolate chips until smooth. 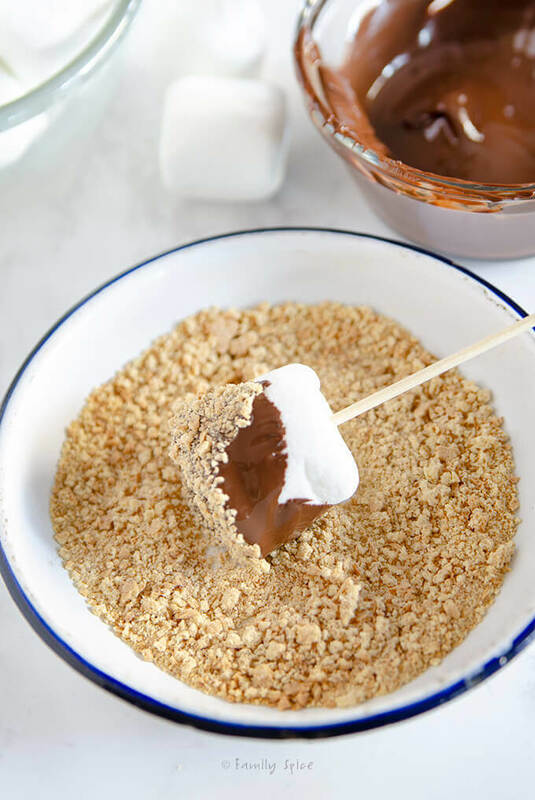 When chocolate is melted completely, dip each marshmallow into the chocolate, then roll into the graham cracker crumbs. Gently return coated marshmallow back to the baking sheet and repeat for the remaining marshmallows. When finished, allow all marshmallows to chill in the refrigerator for 30 minutes to set. Serving Suggestions: These are easy to take for pot lucks, too! Cooking Tips: If you must have your marshmallow toasted, do not skewer the marshmallows in the first step. After you roll the chocolate dipped marshmallow into the crumbs, insert the skewer into the chocolate end, leaving the top exposed. Then, prior to serving, use a torch to toast the marshmallows. Previous Post: « Baking with Honey: Blackberry and Honey Cupcakes. Inspiring words from a future leader! Loved his speech Laura! Can’t believe our babies are all grown up! Looking forward to more years at WG! Wow! And double wow! That speech was amazing – another Martin Luther King in the making. He is a very special boy. Love your s’mores on a stick too. By the way, I have just subscribed. I want to hear more. What a great speech! Those s’mores on a stick are just too cute – perfect way to celebrate summer! Absolutely Impressive!! Have a fantastic Summer!! Bravo!!! I’d cry and get goosebumps hearing my own’s speech! Congrats to you and your husband for raising him so well! My son’s school will end tomorrow – boy next year will be REAL school, not more kindergarten! I’ve seen this smores dessert just yesterday somewhere (don’t remember where) and thought this is great for my kids! Thank you for the recipe. It’s wonderful little snack! p.s. sorry for my late response on email, but will write you soon…. I promise! Have a great weekend! How cute and simple! Definitely serving them at our next party! Your son wrote his own speech: but he got his ideas from home – the way you and your husband and family have raised him 🙂 ! Congratulations to all the family and may the holidays be heaps of excitement and fun! I love that you turned something traditional into a trendy food “on-a-stick”. It’s genious how you did that actually! I made these for my July 4th BBQ. They were a huge hit! Thanks! Yeah! What’s not to love? !